Monster Hunter Generations is an action-rpg video game from the developer and publisher Capcom. 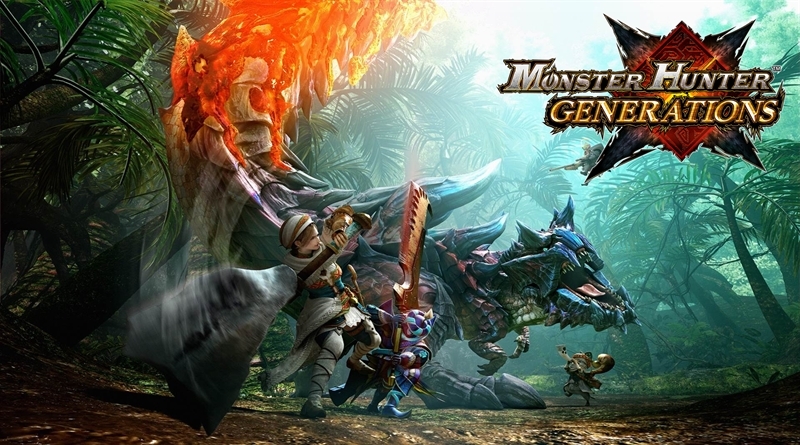 Initially the game was released under the name Monster Hunter X in Japan and now it was released in Europe and North America with the name Monster Hunter Generations in the month of July 2016. Monster Hunter series was first started back in 2004 which was developed for the PlayStation 2. Now this installment is developed for the Nintendo 3DS console by Capcom. Like all other previous installments of Monster Hunter game series, in Monster Hunter Generations you will undertake different quests of hunting monster creatures. This new title includes various new additions such as new combat styles, special attacks and now you can play as Felynes in this game. There are various new locations added in this game from the previous installments, but first you will have your base located on ‘Beruna’, a mountain village. As you progress in the game you will find different locations and several novelties that should seem familiar to you, if you are a fan of this series. Monster Hunter Generations’ weapons has 4 different and unique movement sets that are called Hunting Styles. These Hunting Styles are equivalent to the Skill Ranks that we all know from the Monster Hunter Frontier G8. This game employs a technology that is used in Monster Hunter 4G game and it offers very high quality 3D visuals. In Monster Hunter Generations walkthrough series we will present you a complete game that include beginning to the end moments as well as some gameplay tips for this Nintendo 3DS game Monster Hunter Generations. These walkthrough videos are created by UnitedGamer, I hope you guys will enjoy it! Continue to Next Page for the remaining Walkthrough videos for Monster Hunter Generations.